Execute DOS commands by mouse click. 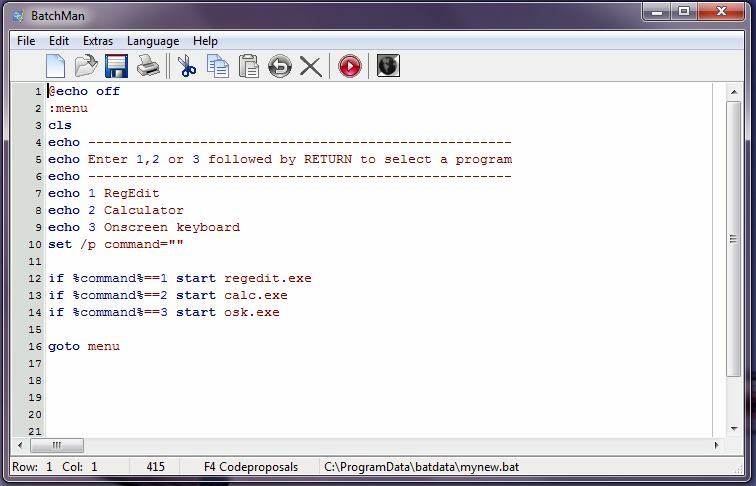 Comfortable editor to create your own BAT files. Use your own editor settings like colors, font-size etc.